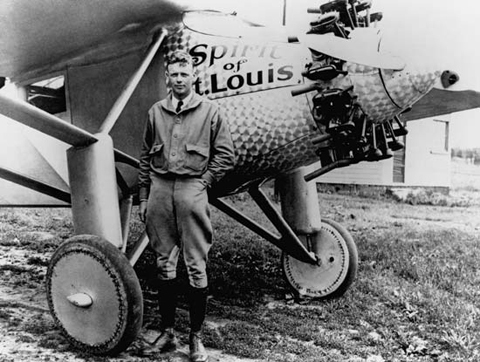 On May 20–21, 1927, Lindbergh, then a 25-year old U.S. Air Mail pilot, had emerged from virtual obscurity to almost instantaneous world fame as the result of his Orteig Prize-winning solo non-stop flight from Roosevelt Field in Garden City on New York’s Long Island to Le Bourget Field in Paris, France, in the single-seat, single-engine monoplane Spirit of St. Louis. Lindbergh, an Army reserve officer, was also awarded the nation’s highest military decoration, the Medal of Honor, for his historic exploit. 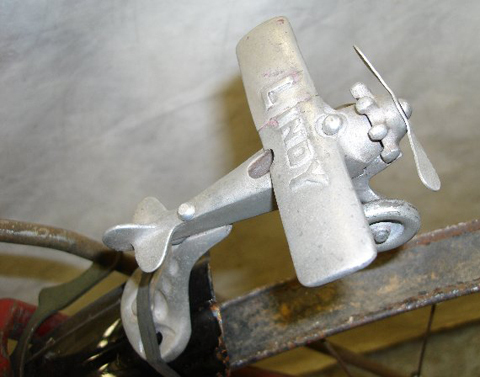 A miniature Spirit of St Louis airplane is mounted on the front fender of this model, and its propeller was designed to spin as the rider pedaled along. 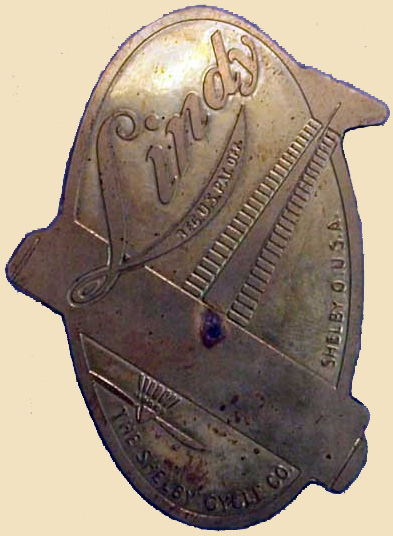 As you can imagine, after Lindbergh’s first non-stop solo transatlantic flight, manufacturers inundated him with requests to use his name on their products. 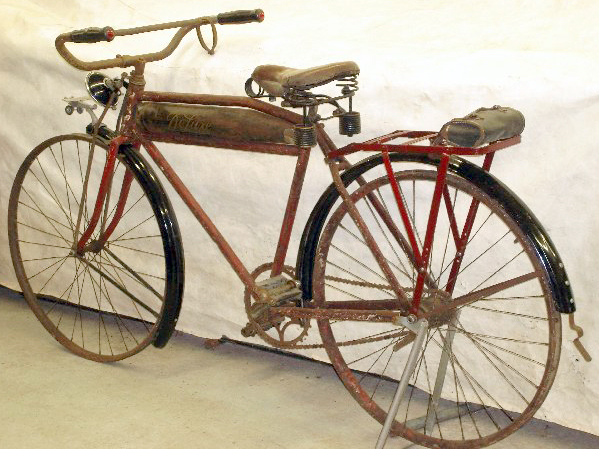 The Shelby bicycle was one of the few he accepted. 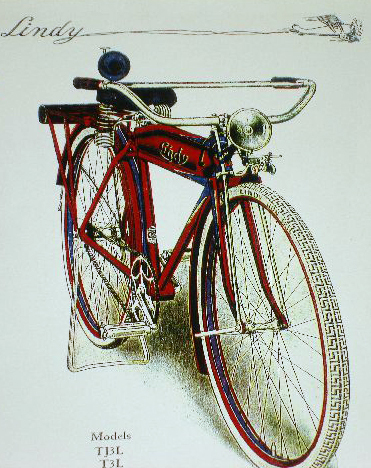 The Lindy was one of the first American bikes to use chrome. 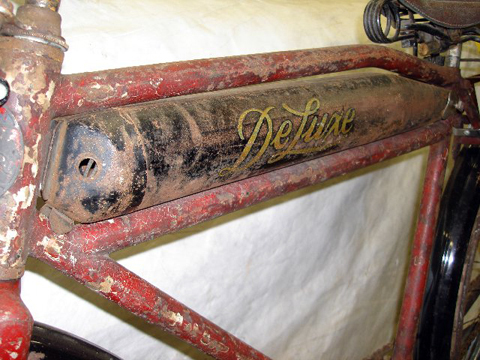 Nickel plating was being phased out around this time, and this bike has a mixture of chrome and nickel. 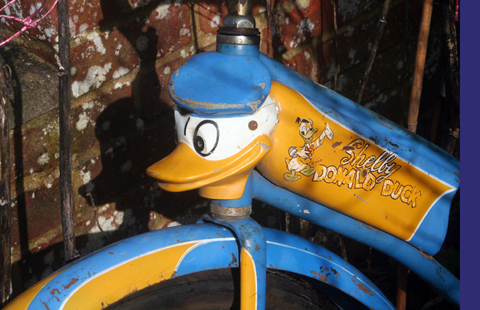 Not many of these bikes were sold from new, and there are probably no more than ten still in existence. 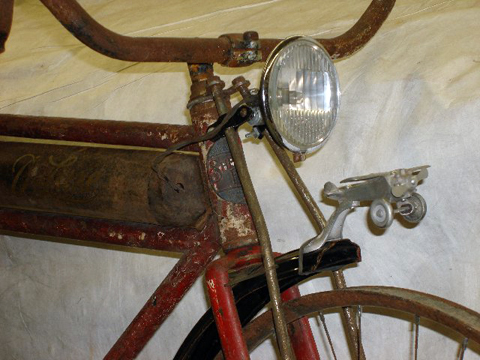 The bicycle you see in these pictures is owned by my friends in the USA, and I’m advertising it for them on my sales website. It’s not cheap! 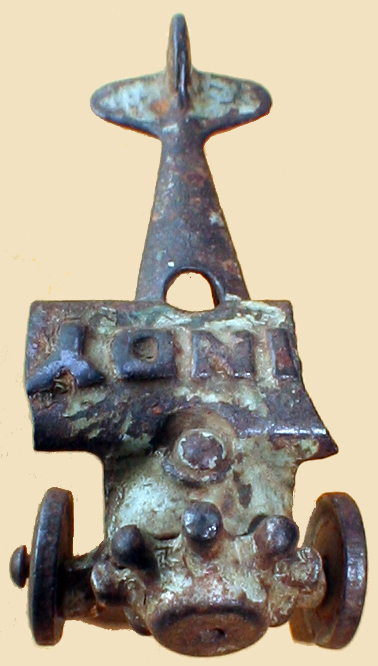 But its pictures have provided me with a useful way to create my own Lindy. Charles Lindbergh was instrumental in the late twenties and thirties in promoting the growing American commercial aviation industry. 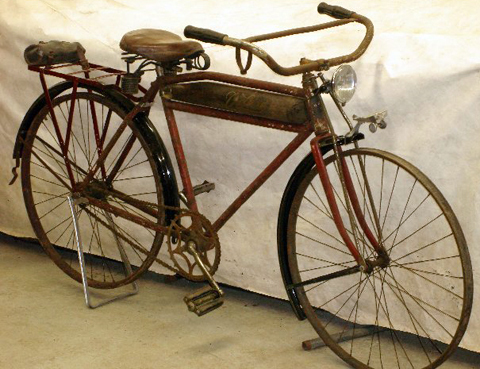 The history of flight is part of bicycle history too, as the Wright brothers from Dayton, Ohio designed and built their own bicycles – the Wright Special – before turning their expertise to the airplane. A.W. 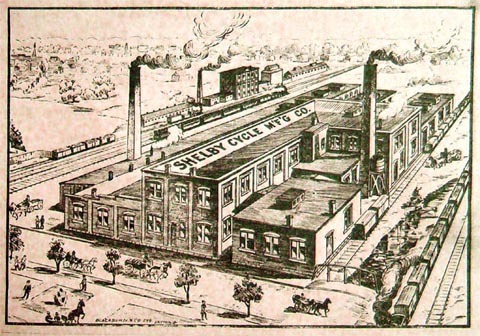 Gump, who helped start the Shelby company, also came from Dayton, and Shelby was an Ohio business. 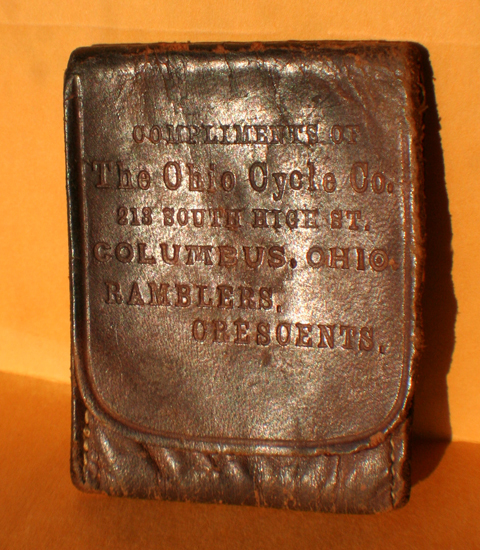 Gormully & Jeffery were, of course, already bicycle manufacturers of good standing – their company made the upmarket Rambler bicycle. 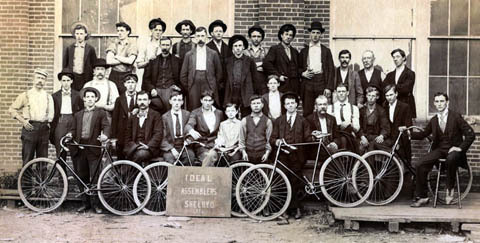 Their experience no doubt allowed the new Shelby Cycle Co to capitalize on increasing consumer demand for cheaper bicycles: it looks to me like the company was established with this particular aim in mind. 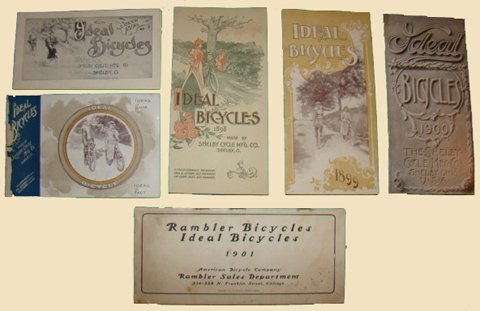 As you can see above, the Ideal name was more prominent than the new Shelby company name, and Rambler sold bicycles under the Ideal name too. 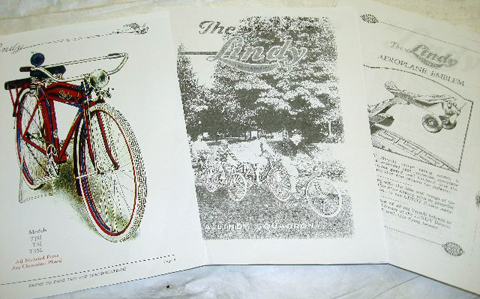 The reason I’m so interested in the 1928 Shelby Lindy is that it was the first in a long line of American ‘character’ bikes, which used the bike to promote a famous figure or icon. 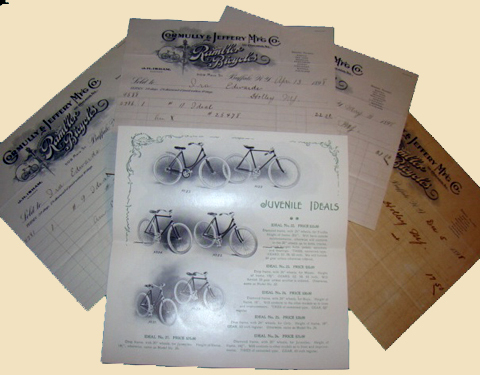 Character bikes became a popular line for cycle manufacturers in the USA after WW2, and this style has formed the basis of my American collection. 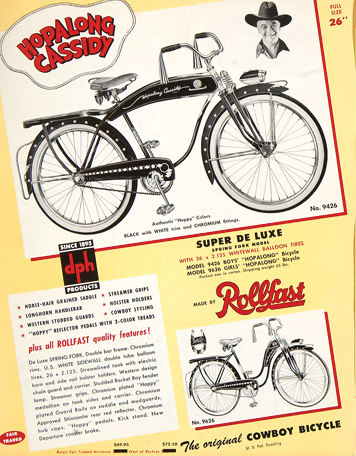 On these pages you can see the 1949 Shelby Donald Duck and 1952 Rollfast Hopalong Cassidy.